This course will introduce you to many different features that can be developed and added to improve gameplay. This course HTML5 Game Development - Gameplay and Multiplayer Proof of Concept build upon the previous HTML5 game development course detailing ways in which you can expand upon what you have built from them in both coding and knowledge. You will learn about quest systems for the player to have goals within the game. The course also looks at what is involved in creating an Azure website and a server for hosting a multiplayer game. The course begins by introducing a magic system into the game. You will learn about loading and adding sound and about creating quest systems that will link together. You will also learn about creating a title and game over screen and how to polish it off. Next, the course looks at how to create and configure a server with Node.js, Express and Socket.10 to host a multiplayer game. 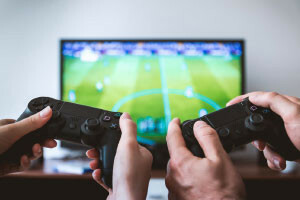 You will also learn about game file editing in order to include a multiplayer facility and connect your game to your server. Finally, the course will discuss further way in which you can expand your game. This course will be of great interest to anyone wishing to learn more about the basics of creating a multiplayer game and adding elements such as magic, quests and sound to their game.